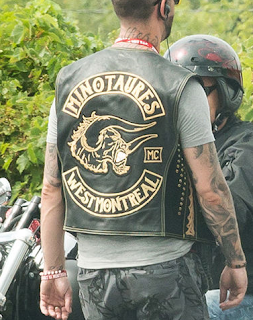 David Lefebvre, Sébastien Beauchamps Sébastien Beauchamps, 44, was considered a close associate of David Lefebvre, one of Montreal's most influential bikers. 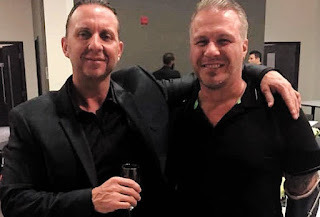 The Mascouche man was intimate enough to accompany him to a boxing gala in Quebec City in July 2016, and to console him after the death of HA Kenny Bédard. Lefebvre quickly rose after SharQc and is considered the godfather of the violent Minotaurs, a puppet club. This relationship with the upper echelons has led several sources to say that the murder of Sébastien Beauchamps was "authorized in high places". 44-year-old Sebastien Beauchamps has died after a shooting in broad daylight in Saint-Leonard. He has ties to the Hells Angels. His body was found next to a Jeep Cherokee at an Ultramar gas station. He had been shot multiple times.